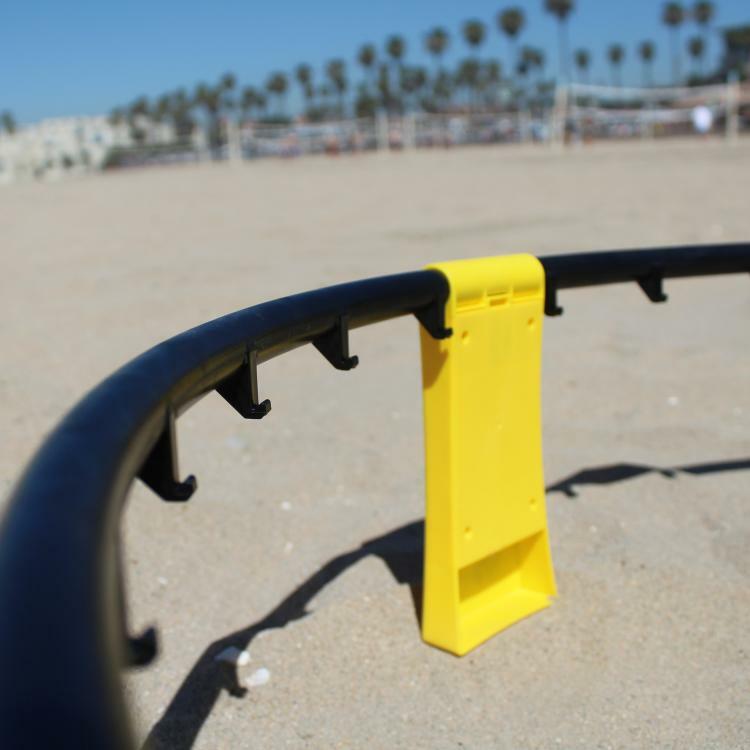 Spikeball is a new sport that is said to be similar to combining the sport of volleyball along with the finesse of the game foursquare. 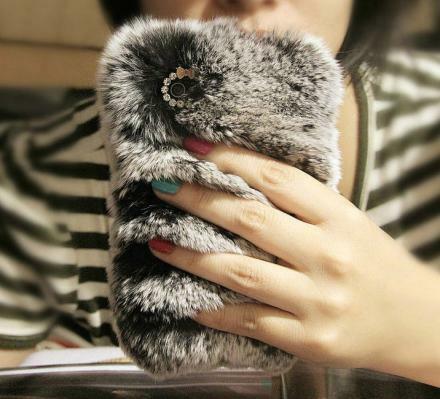 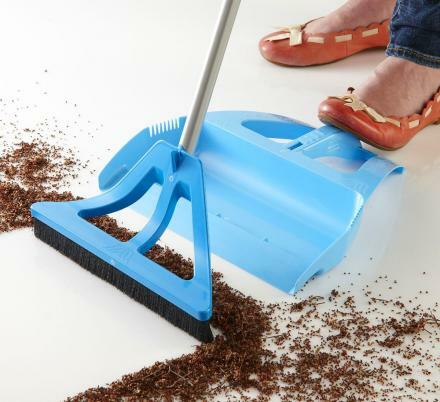 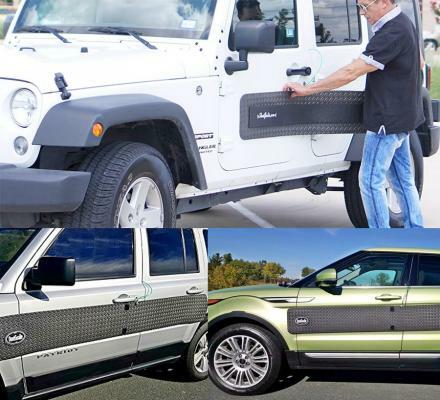 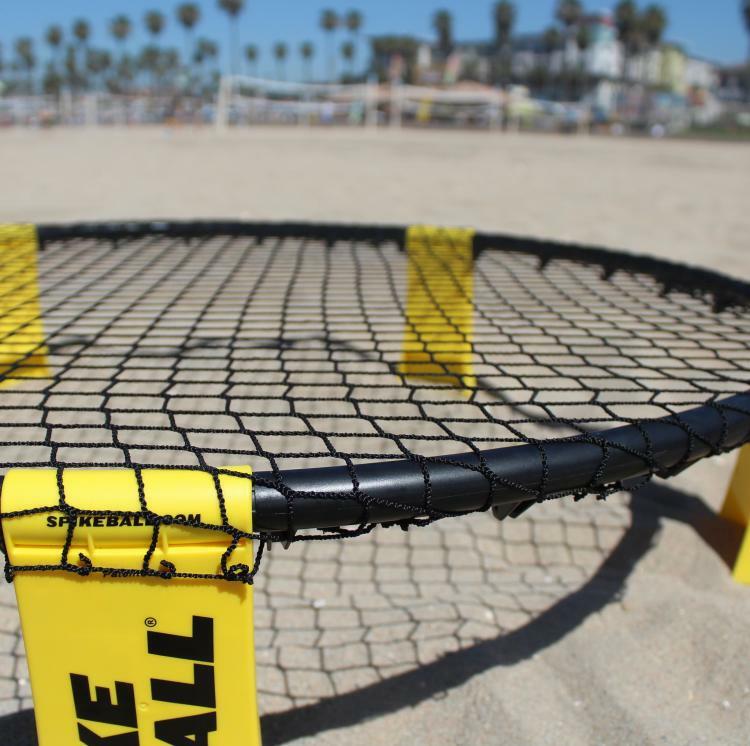 Essentially, it comes with a big trampoline-like net that sits a few inches off the ground, along with a small ball. 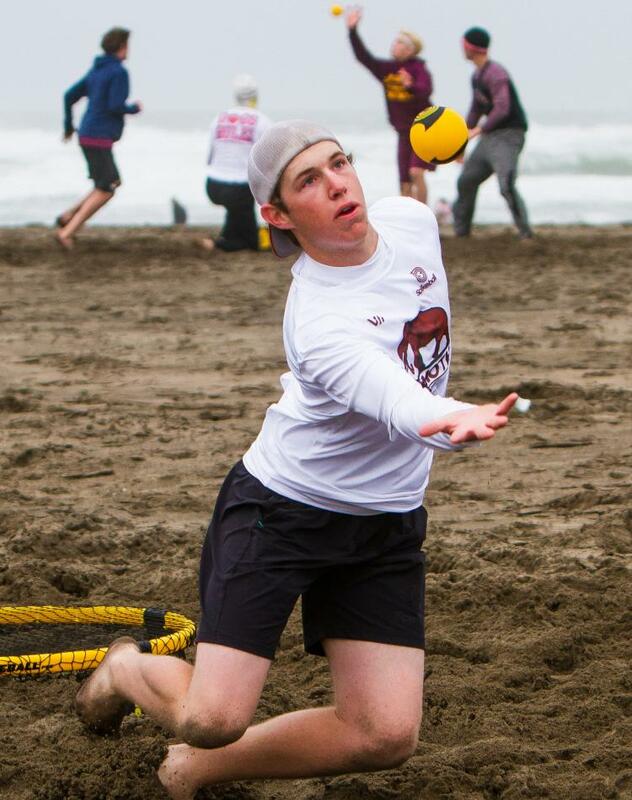 2 Teams of 2 people compete against each other in spiking the ball off of the trampoline and attempting to hit it back onto the trampoline for the other team to hit it back to them. 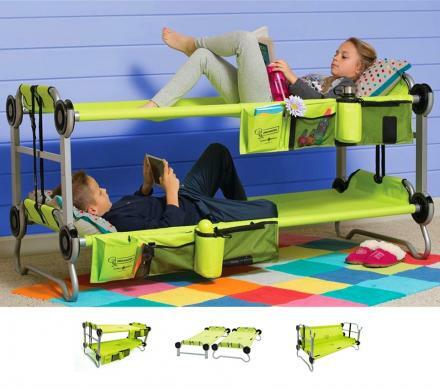 The goal is to spike it in a direction or speed that they can't hit it back on the trampoline and the ball hits the ground. 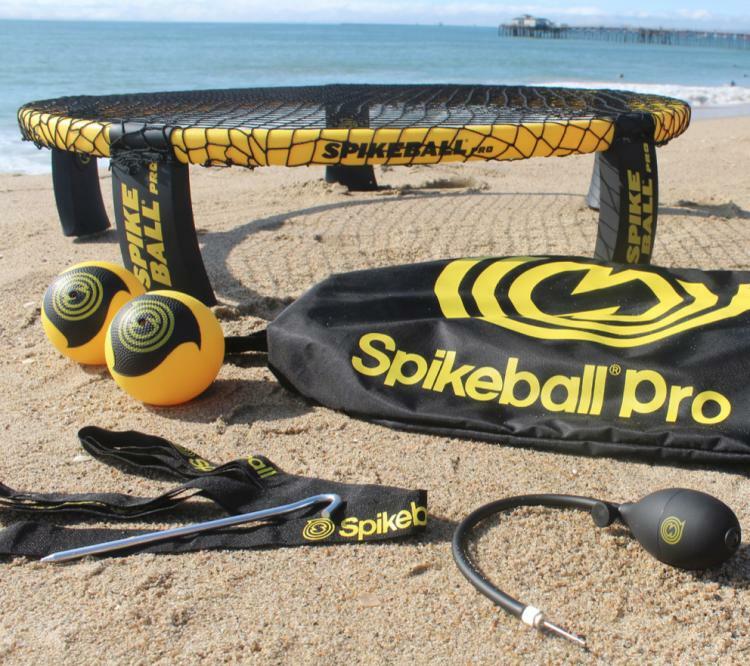 A perfect game for playing at the beach, in the backyard, while camping, around the pool, or even indoors, Spikeball was even invested in by Daymond John, a Shark on the television show Shark Tank. 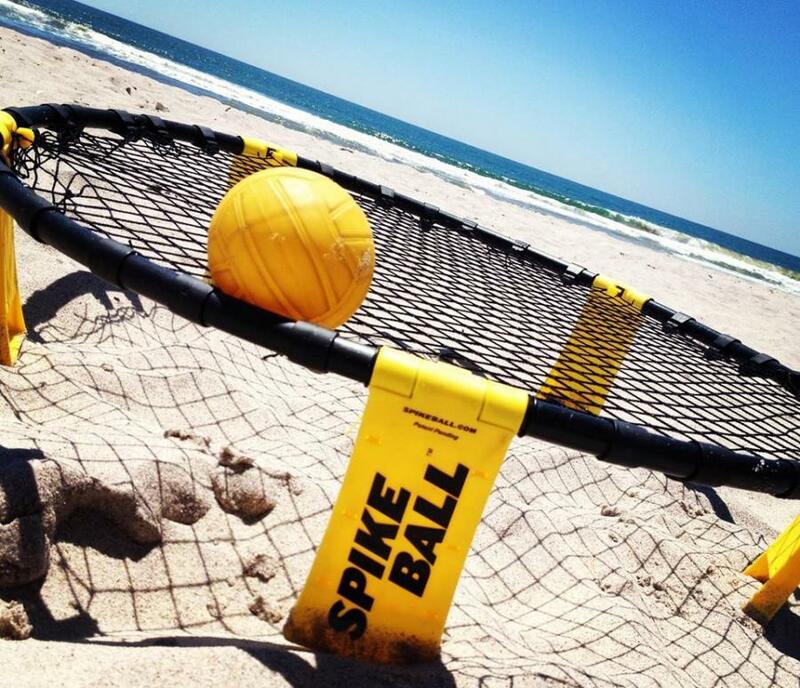 Spikeball is even a great workout for athletes trying to train for Lacrosse, tennis, ultimate Frisbee, etc. 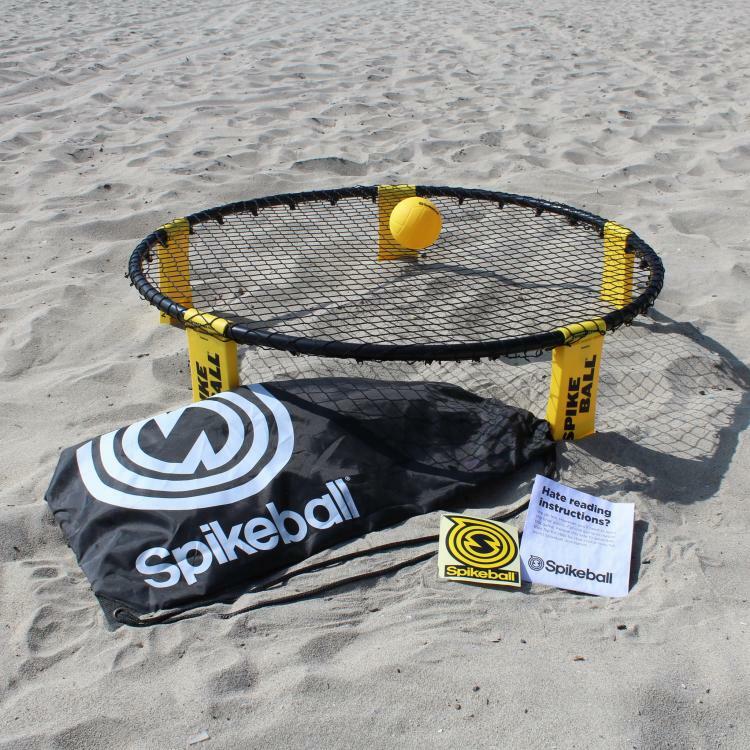 Due to sometimes uneven surfaces, Spikeball features swinging legs so that the trampoline can always be pointed straight up for an even game, and the playing balls are thick and have rough ridges which make them not only more durable, but much easier to grip and play the game with. 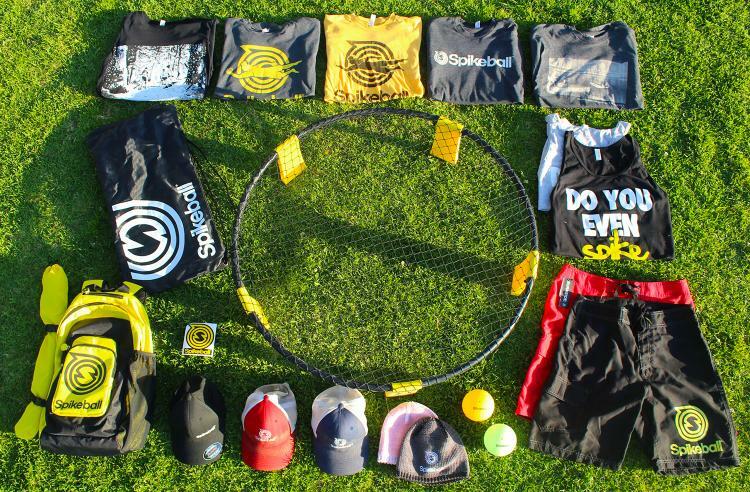 Spikeball comes with 3 playing balls, one trampoline-net, a carrying case for easy travel, as well as instructions on how to setup the game and play it. 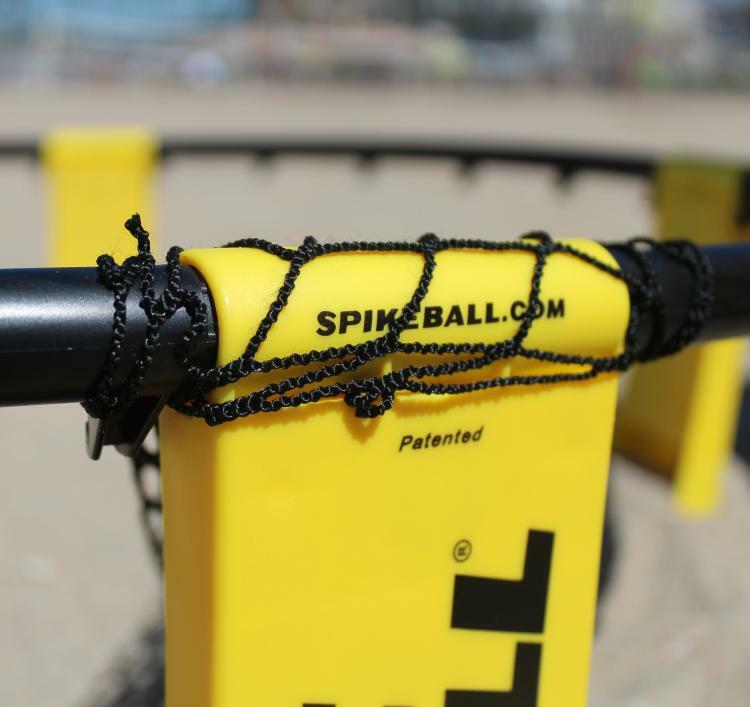 The Spikeball net measures 36 inches in diameter x 8 inches tall, and each playing ball measures 12 inches in circumference. 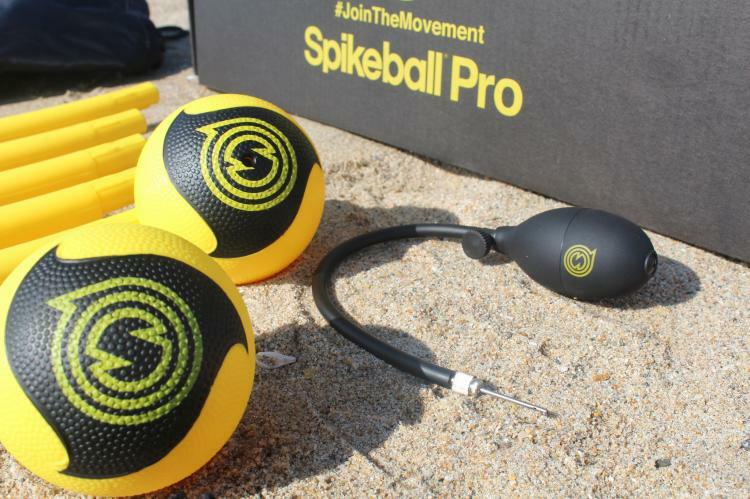 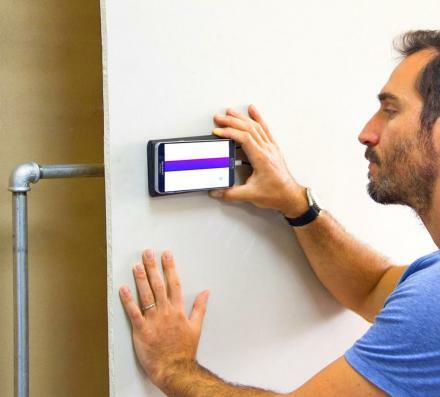 Check out Spikeball in action via the video below.